Ken Paxton Thinks Fantasy Sports Betting is Illegal. This Lawmaker Disagrees. A state lawmaker says he'll file legislation to make sure Texans can play fantasy sports online without repercussions. A state lawmaker says he'll file legislation to make sure Texans can play fantasy sports online without repercussions — following an opinion from Attorney General Ken Paxton that equates placing bets on gaming websites to illegal gambling. Rep. Richard Peña Raymond, D-Laredo, has drafted a bill for the upcoming legislative session that would classify fantasy sports as games of skill, not of chance. The move follows a nonbinding opinion Paxton's office released in January that suggests paid fantasy sports sites such as DraftKings and FanDuel — which offer Texans the potential to win money off of their virtual teams — violate the state's prohibition on betting on games of chance. “It really isn’t the roulette wheel,” he said at a news conference Thursday announcing his plans for legislation. The proposed bill was not written with the help of any fantasy sports sites, Raymond said — just input from his Laredo constituents who disagreed with the attorney general’s opinion. A spokeswoman for FanDuel said the fantasy site was not notified about Raymond's legislation. FanDuel halted paid contests for Texas fantasy sports fans after the January AG opinion, saying in an email that it would work to pass legislation to clarify the rules. "We believe FanDuel has always been legal in Texas and strongly disagree with the recent advisory opinion of the attorney general, but understand that the laws surrounding fantasy sports require clarity," the email stated. A spokesman representing both FanDuel and DraftKings said the companies were "pleasantly surprised" to hear that legislation had been filed. 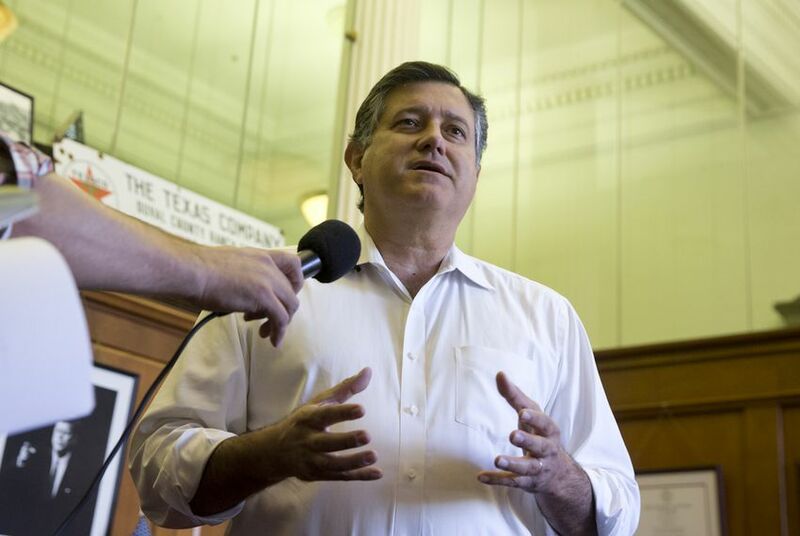 "However, we are not surprised that the millions of Texans that are passionate about fantasy sports have begun to contact their elected officials on this issue," he said in a statement. DraftKings has filed suit in Dallas County against the AG's office, asking the court to issue a declaratory judgment that fantasy sports websites are permissible under Texas law. Paxton’s office has requested the lawsuit be moved to Travis County. Although Paxton’s opinion is nonbinding, Raymond said it has had a chilling effect: “It puts out there in the world that the attorney general of the state of Texas thinks it’s illegal.” Raymond said he will contact lawmakers to be co-authors on the legislation and pre-file the bill in November. "There are just some things the government shouldn't be sticking their nose in, and fantasy sports is one of them," he said.